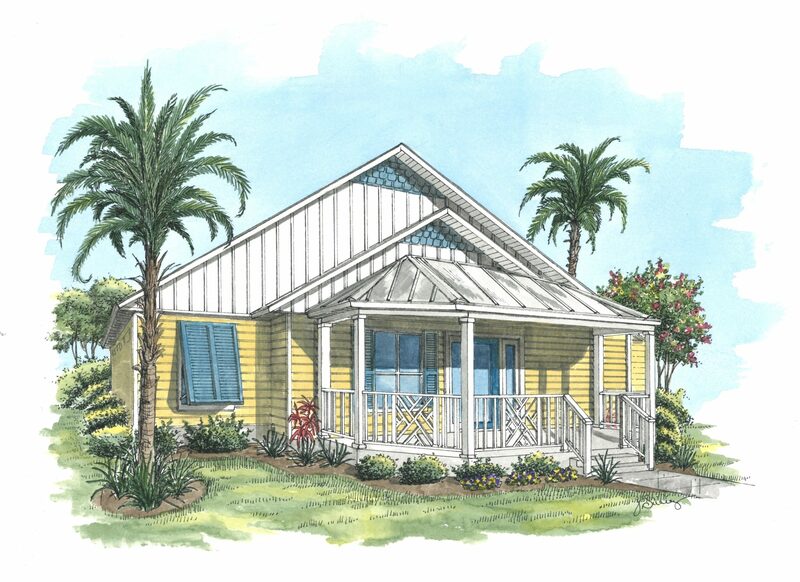 Charmingly quaint and cozy, the Caroline maximizes every inch of space in the home. Step from the spacious front porch into the foyer that flows seamlessly into the family room. 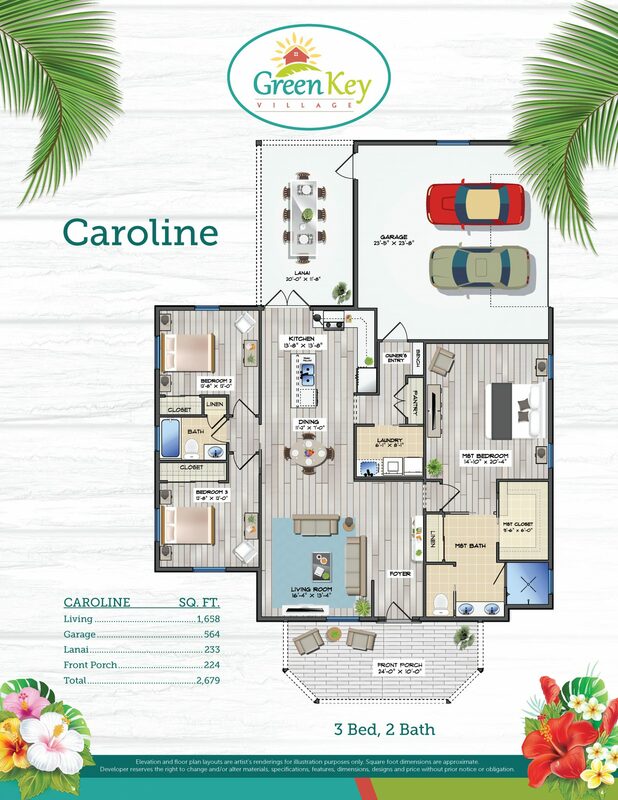 With the Caroline’s wide open floor plan, you can work on your culinary creations and still be a part of the conversation going on in the family room. Then enjoy your meal on the broad front porch or backyard lanai. In the kitchen, you will find plenty of counter space, including an island for prep and casual dining. 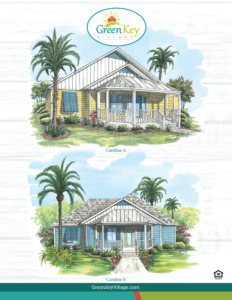 With this split floor plan, the master suite provides a spacious and private area, a large walk-in closet, double sink vanity, and an eye-catching walk-in shower. Two additional bedrooms on the opposite side of the home share the second bath with a shower/tub combination. From the kitchen, you have easy access to an enclosed laundry room, pantry, and drop zone area leading out to a two-car, side-load garage at the rear of the home. 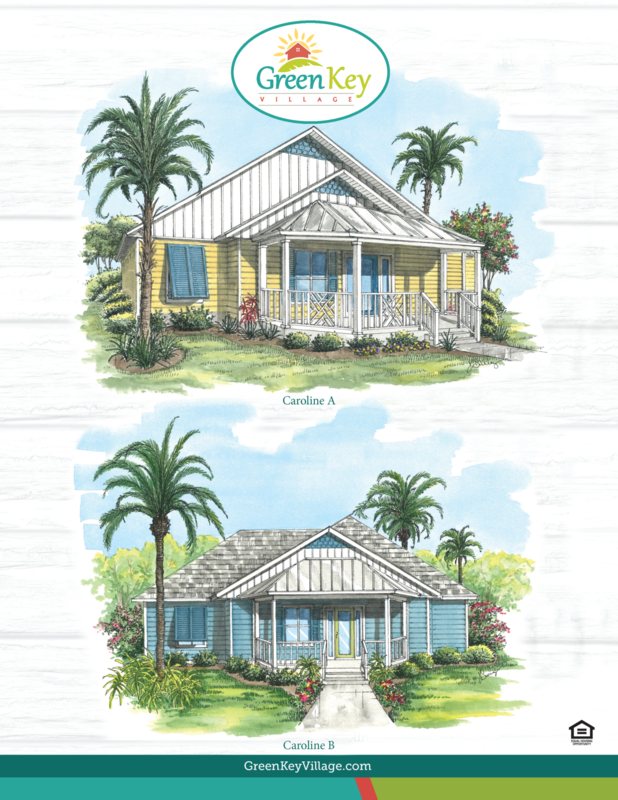 The Caroline balances modern functionality with old-Florida charm and style.